Immediately after FDI AWDC 2013, in Istanbul, by invitation of the Circulo de Odontólogos del Paraguay (COP), I had the pleasure to attend, as FDI past president, the IX International Congress in Assuncion (5-7 September). Open ceremony – national authom of Paraguay. With the president of the COP, Eduardo Poletti Paoletti. ….Head office. Gracias Paraguay, hasta siempre! The FDI World Dental Federation has defined a strategy for the development of Oral Health in Africa, which can be find on this pdf document. 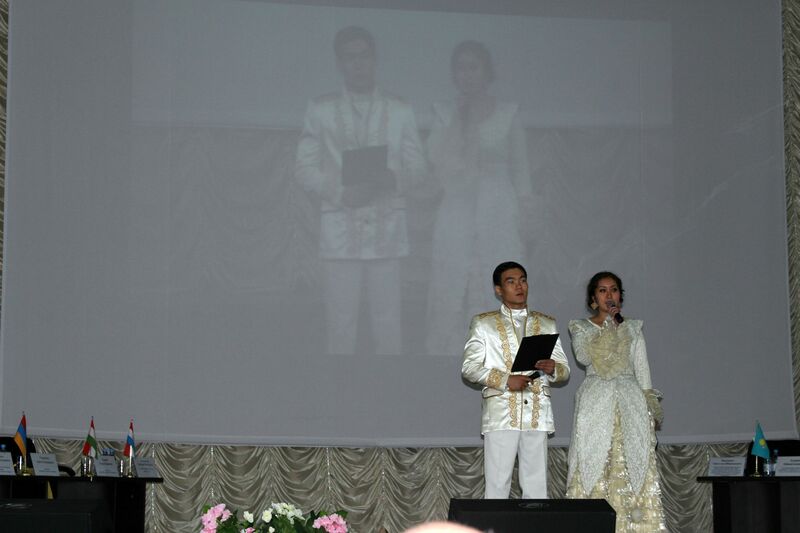 By invitation of the President of Kazakhstan Dental Association, Saule Esembaeva, I had the pleasure to attend the XI Congress of CIS “Innovation in Dentistry” in Almaty, Kazakstan. 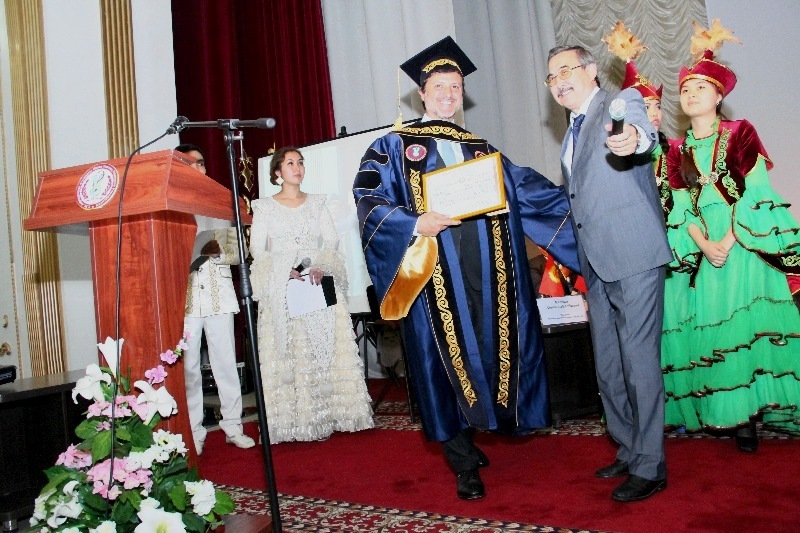 Receiving the honorary title of professor from the Kazakh National Medical University (KazNMU), by decision of the Academic Council (30/04/2013), from the hands of Akanov Aykanom Akanovich, rector of the Kazakh National Medical University, KazNMU, named after S.D. Asfendiyarov. 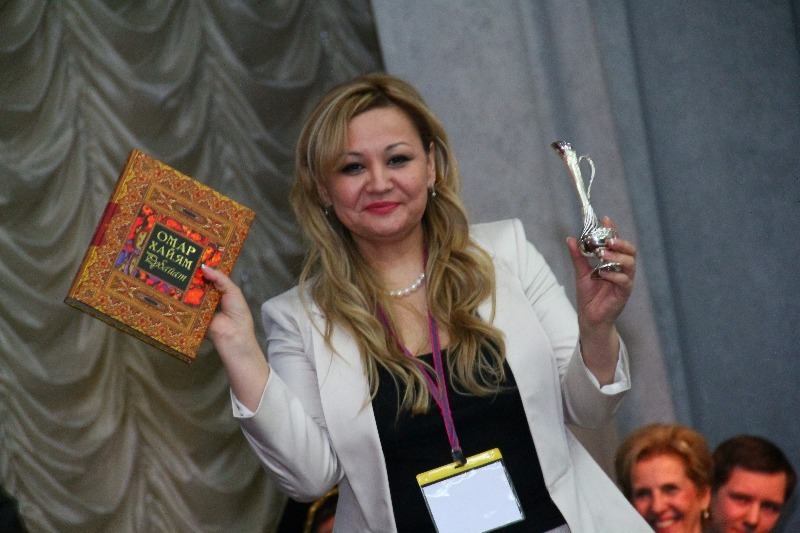 President of Kazakhstan Dental Association, Saule Esembaeva. Welcome ceremony. 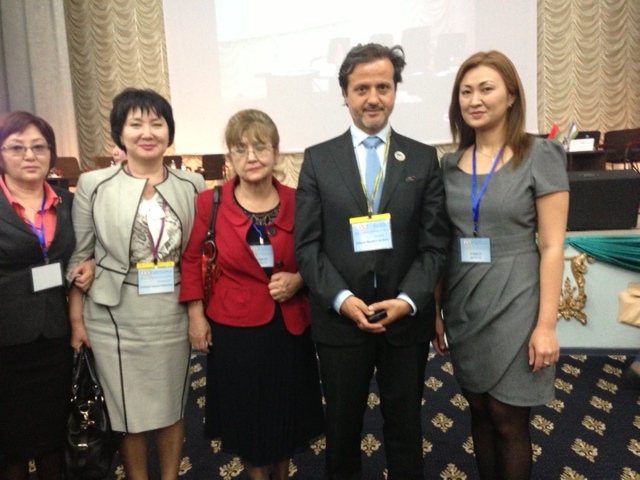 From left to right, Sharmanov TS (one of the organizers of the historical Alma Ata Conference), Akanov Aykanom Akanovich (rector of the Kazakh National Medical University, KazNMU), myself, Michèle Aerden (FDI past president), Saule Esembaeva (president of Kazakhstan Dental Association) and Oles Shevchenko (Russian Dental Association). 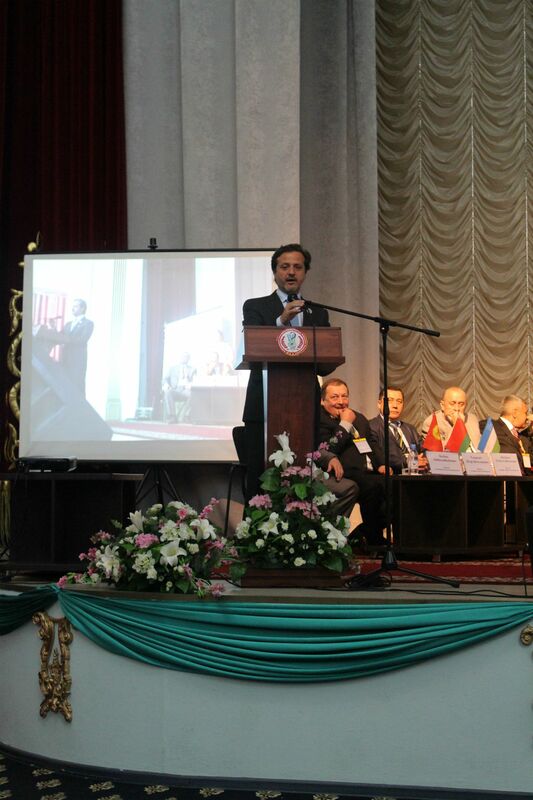 The Declaration of Alma-Ata was adopted at the International Conference on Primary Health Care (PHC), Almaty (formerly Alma-Ata), Kazakhstan (formerly Kazakh Soviet Socialist Republic), 6-12 September 1978. It expressed the need for urgent action by all governments, all health and development workers, and the world community to protect and promote the health of all people. It was the first international declaration underlining the importance of primary health care. 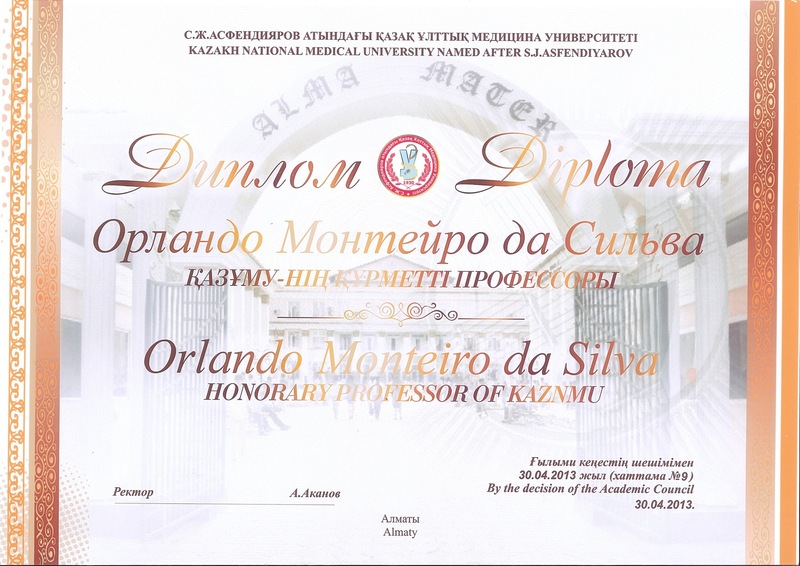 The primary health care approach has since then been accepted by member countries of the World Health Organization (WHO) as the key to achieving the goal of “Health For All” (See Wikipedia). The venue was this very same KazNMU. 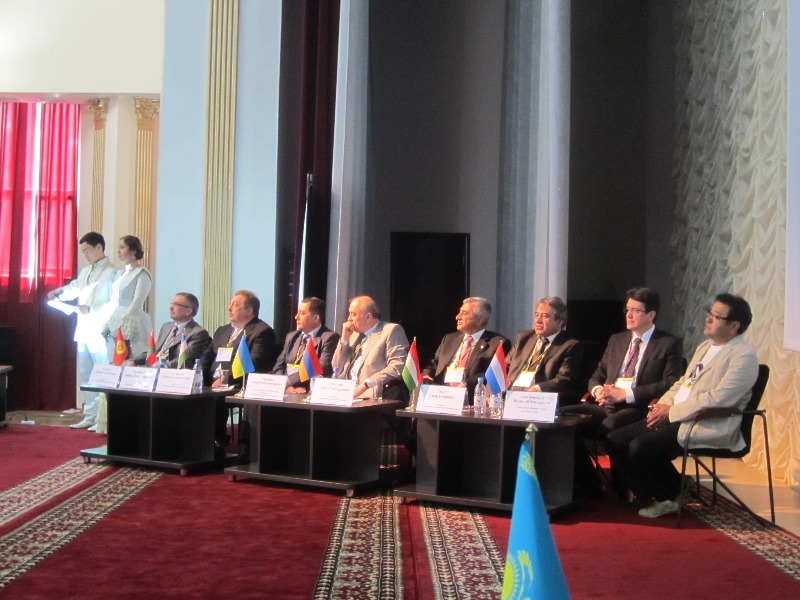 Leaders and representatives from Dental Associations of Ukraine, Georgia, Belarus, Tajikistan, Moldova, Armenia, Kazakhstan, Kyrgyzstan, Kazakhstan and Russia. 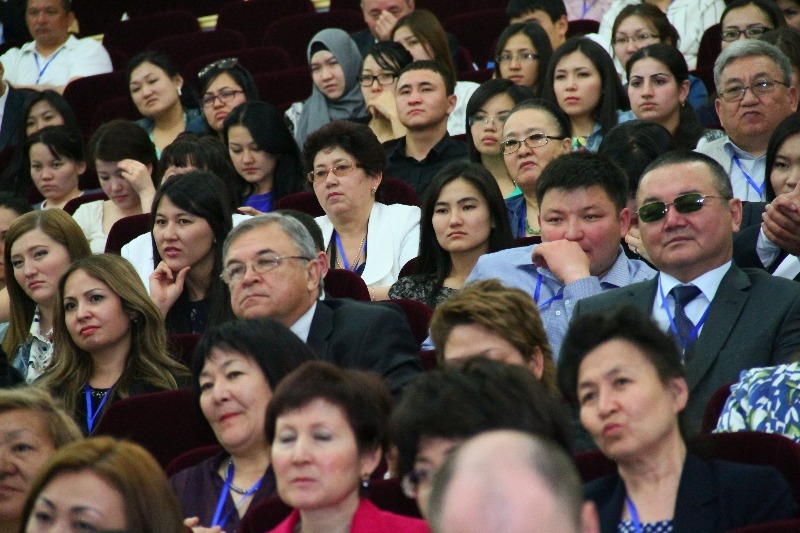 Participation of over 500 delegates from Kazakhstan, 67 lecturers 17 countries that came together to promote innovative technologies and most effective dental care in the countries of the former Soviet Union. 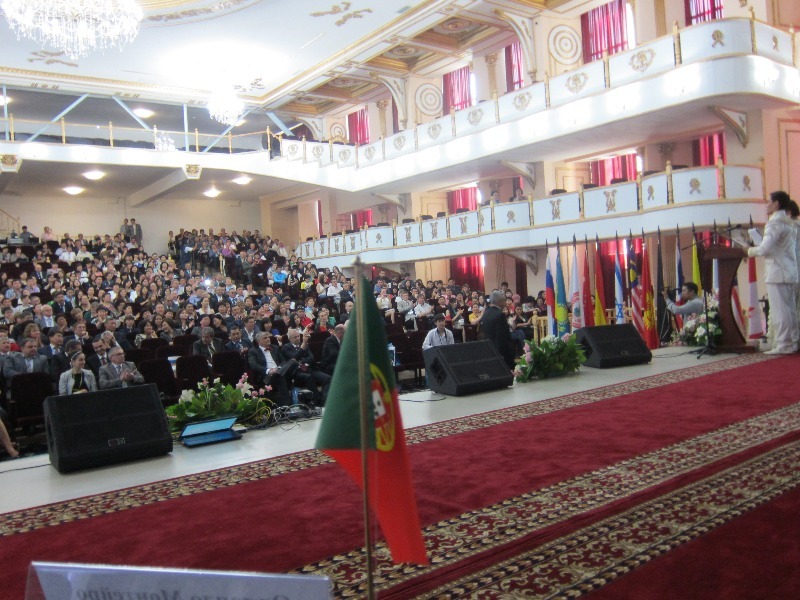 Addressing the delegates at the welcome ceremony where I also presented the FDI project “Vision 2020”. 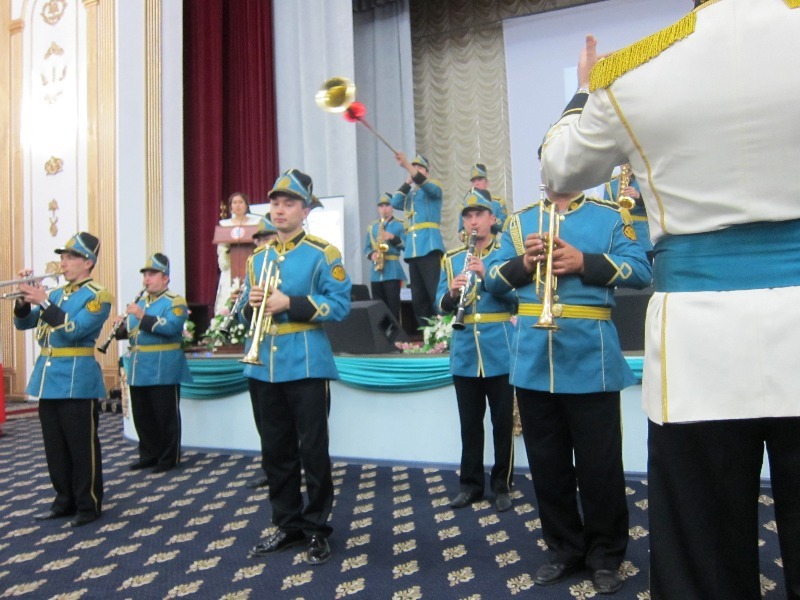 An entertainment moment at the welcome ceremony. With Anara Zhumadilova, from the Nazarbayev University, Astana and president of Kazakhstan Stomatological Association, FDI regular member. Meeting with the KazNMU academic council. 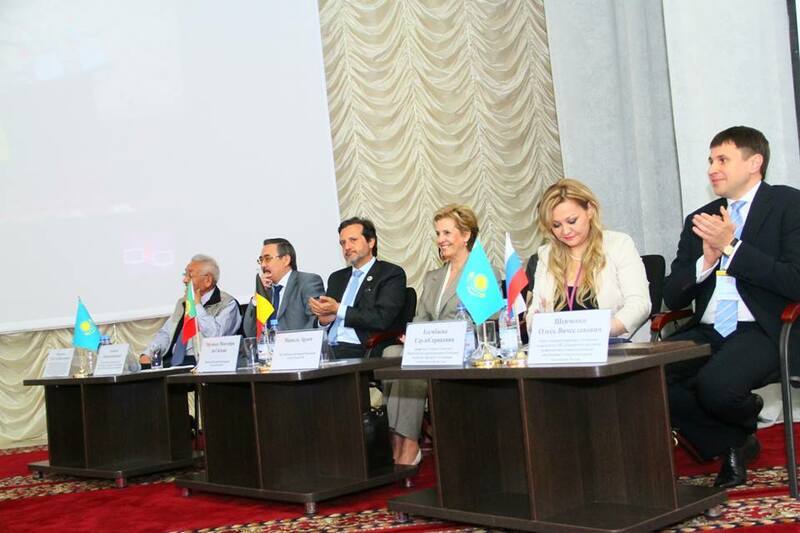 Meeting of the FDI/ERO (European Regional Organization) working group “Integration”, chaired by Elena Ivanova. Gala Dinner at “The Sultan”. With Elena Ivanova and Michèle Aerden. 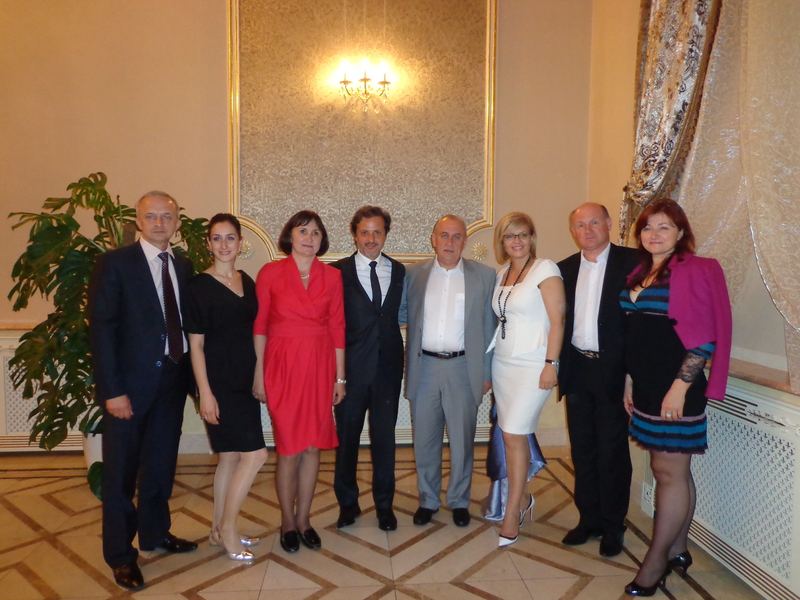 Starting from left to right, are Valeriy Lysenko (president of Kharkiv Regional Dental Association, Ukraine), Mariam Margvelashvili (Tbilisi State University, Tbilisi, Georgia), Iryna Mazur Petrovna (National Medical Academy of Postgraduate Education, Kyiv, Ukraine), myself, Alexey Pavlenko (president of Ukrainian Dental Association), Myroslava Drohomyretska (president of Association of Ukrainian Orthodontists, Kyuv, Ukraine) and Bida Vitaliy (professor of Ukraine). Group picture with the beautiful “Zozyaystva Turgen” mountain on the back. До свидания, Алматы, Казахстан! Спасибо Казахстан! По официальному приглашению Президента Ассоциации стоматологов Казахстана Есембаевой Сауле, я принимал участие в проведении XI Конгресса стоматологов СНГ «Инновации в стоматологии» в г.Алматы (Республика Казахстан). Решением Ученого Совета КазНМУ им.С.Д.Асфендиярова от 30.04.13 года мне было присвоено звание Почетного профессора КазНМУ им.С.Д.Асфендиярова . Диплом вручил Ректор Университета, профессор Аканов АА. From left to right, myself, Brenda J. Myers (secretary general of the World Confederation for Physical Therapy), Cecil Wilson (president of the World Medical Association), Michel Buchmann (president of the International Pharmaceutical Federation). The Sixty-sixth World Health Assembly (WHO) took place in Geneva. Officials from 194 Member States begin their annual review of the activities of WHO and set new priorities for the future. The Health Assembly discussed discuss specific health topics like noncommunicable diseases (NCD’s), universal health coverage, women and children’s health, as well as the programme budget, administration, reform and management matters of WHO. Of particular interest to FDI will be the report on progress in various fields related to noncommunicable diseases and the draft action plan to the prevention and control of noncommunicable diseases 2013-2020. I’m looking forward to this year’s Assembly. Despite oral health not being assigned a separate section in the draft work programme, thanks to our work in Geneva and our members at the national level, oral health is not absent, rather it is a cross-cutting issue between all areas of WHO work. In particular, the link between NCDs and oral disease, in particular oral cancer, is explicitly mentioned. A great deal of emphasis is placed on Clause 54 of the United Nations Political Declaration of the Prevention and Control of Noncommunicable Diseases in relation to involving “the private sector and civil society, in collaborative partnerships to promote health and to reduce noncommunicable disease risk factors”. In parallel, the World Health Professions Alliance WHPA launched a reception joining heads of delegations and WHO selected representatives of international health organizations. The WHPA brings together the global organizations representing the world’s dentists, nurses, pharmacists, physical therapists and physicians and speaks for more than 26 million health care professionals in more than 130 countries. WHPA works to improve global health and the quality of patient care and facilitates collaboration among the health professions and major stakeholders. The theme was collaborative practice “World’s health professions call for new emphasis on working together” (PDF). You can also consult the official press-release (PDF). You are currently browsing the archives for the FDI World category.